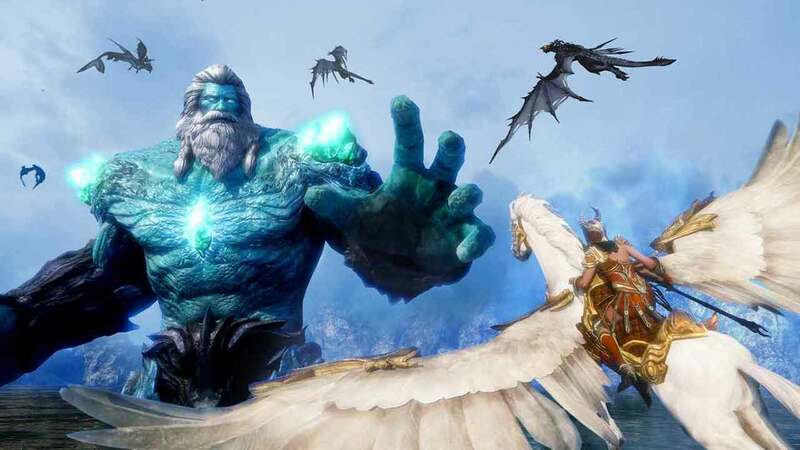 Today marks the release of The Exarahn Badlands update for Riders of Icarus as developers NCSoft introduce a flurry of new events, a brand new region and an assortment of new mounts for the mounted combat MMO. The second large-scale update in two months The Exarahn Badlands introduces large-scale PvP battlegrounds, the new zone of the Exarahn Badlands and the opportunity for players to capture some of the strongest mounts in the game. The chaotic region of the Exarahn Badlands has been thrown into darkness, transporting players back in time to a region that would eventually become the Hakanas Empire. Filled with challenging quests and fearsome monsters, the Exarahn Badlands is one of the most exciting zones to debut in Riders of Icarus to date. Those looking to catch ’em all will also be eager to explore the Exarahn Badlands as brand new mounts have been introduced with both ground and aerial mounts available for players to tame. However, some of these will require the aid of allies so be sure to bring some friends.